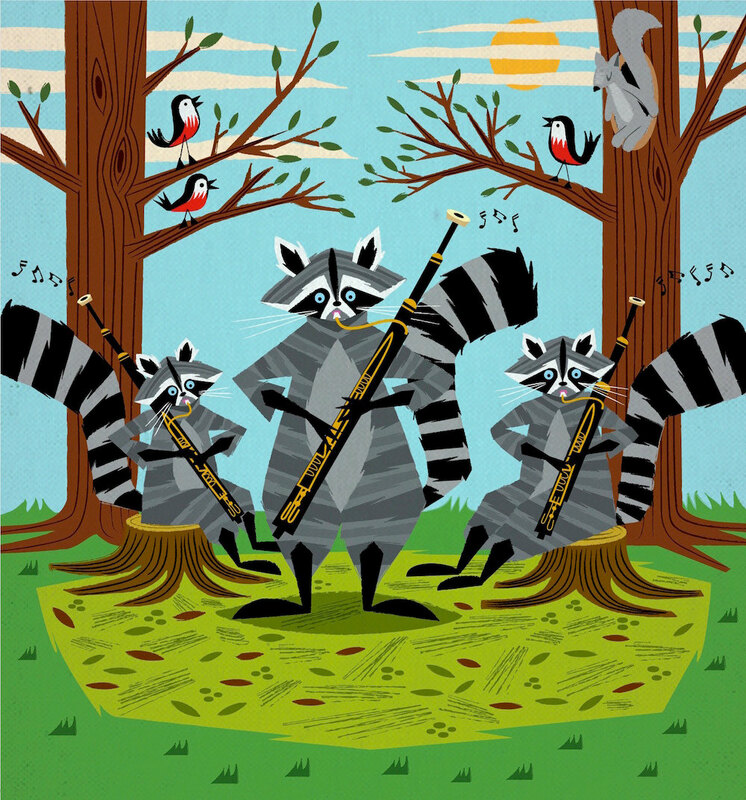 A limited edition illustration titled - 'Raccoons Playing Bassoons' printed on the finest archival matte canvas paper. Fantastic quality print, well packaged and delivered long before I expected it! It is perfect!!! Love it!! This was EVEN better than I thought it would be! No problems, so pleased!